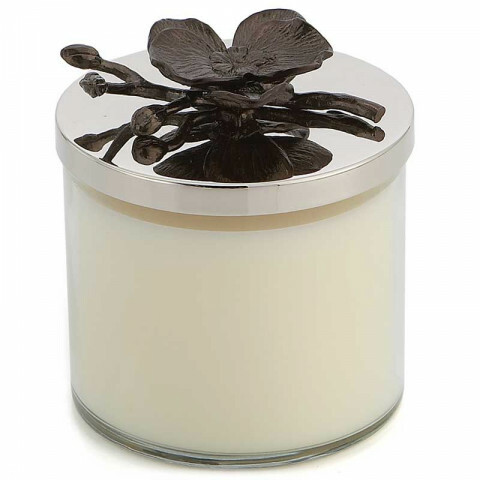 The Black Orchid Candle was inspired by the rich ambiance of evening and haute couture ... gothic and feline ... velvety, sensual and intoxicating. The essential elements in the base notes are deep cedar and sandalwood accented with warm musk. The intense middle essence is built on florals and tropical fruits while the top notes are made lithe with sheer citrus.